Three Harris County hearing officers have sued the State Commission on Judicial Conduct in an attempt to overturn their discipline for denying personal recognizance bonds to misdemeanor defendants, contending that the agency overstepped its authority by interpreting law in meting out punishment. Eric Hagstette, Joseph Licata III and Jill Wallace are Harris County criminal law hearing officers who assist elected state district judges with initial criminal court hearings that advise criminal defendants of their rights, set money bail and determine whether the accused are eligible for release on a personal bond. All three of the hearing officers were issued public admonitions by the Judicial Conduct Commission in January after it found that they failed to comply with the law in strictly following directives from state district judges to refrain from issuing personal bonds to defendants. The commission noted that it gave weight to the hearing officers’ arguments that they feared for their jobs if they didn’t obey orders from state district judges to deny personal bonds to defendants. Nevertheless, the commission determined the hearing officers had violated their constitutional and statutory obligations to consider all legally available bonds when they denied personal recognizance bonds to defendants. 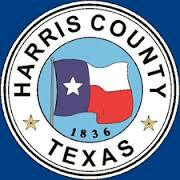 In a recent petition filed in a Harris County state district court, the hearing officers argue that the commission exceeded its mandate in issuing the disciplinary actions based on its own interpretation of the law, rather than on well-settled law. Sen. John Whitmire filed the complaint that led to the State Commission on Judicial Conduct disciplining the hearing officers. I didn’t note when that decision was handed down, but a month after that we had testimony that the misdemeanor court judges violated state judicial conduct rules themselves by ordering the magistrates to deny bail. If this action were about setting that record straight I’d be firmly in the corner of the magistrates, but this looks to be about the role of the Commission, which interests me a lot less. Nonetheless, I suspect there’s some potential for more dirty laundry to be aired, and I am here for that.